The PWG pipe locating system consists of a rechargable power pack and an electronic pulse generator (PWG) to be attached a hydrant. This system allows location of metallic or non-metal pipes. The pipe section does not need to be shut down during the location process. handling the system is very simple. No special skills required. The Electronic Transonde is an easy to use method for locating non metallic domestic water services. The battery operated Transonde connects via a tap on the mains supply. The Transonde is used to vibrate the water as it passes through it and across an internal spring system sending a minute sound wave back along the pipe which can then be located using a ground microphone. The FlexiTrace reel holds 164′(50m) or 260’ (80m) of small diameter rod. The rod can be energised by a Radiodetection transmitter* or Genny and inserted into pipes as small as 12mm. 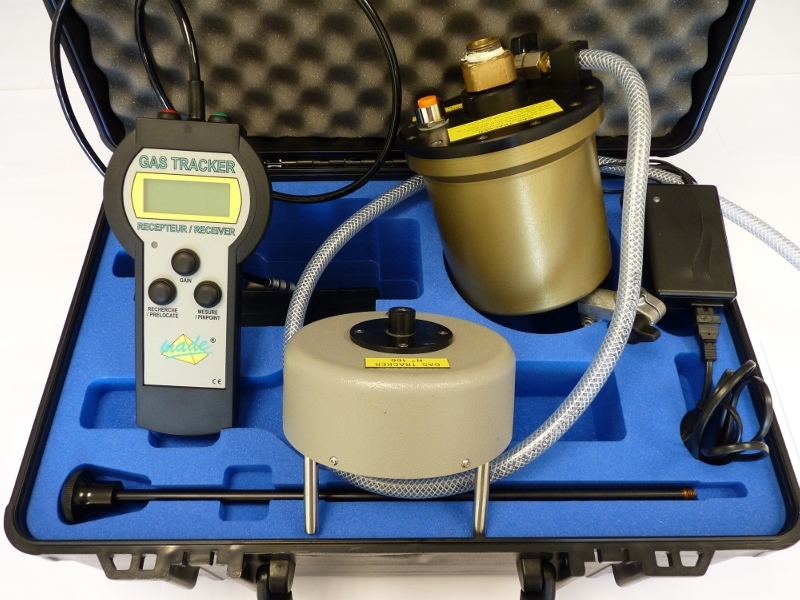 It is used with a Radiodetection locator or C.A.T to find and trace small diameter plastic pipes etc.